NSW Planning Minister Rob Stokes will today launch the Australian House & Garden Magazine & Mirvac “My Ideal House” design competition, calling on Australia’s architects and designers to step up to the challenge of creating homes that are liveable, sustainable and affordable. Mr Stokes said the NSW Government had responded to Sydney’s growing need for more housing with the accelerated release of land but the next step lay in the hands of designers and builders. “We’ve made the land available now it’s up to the architects and builders to push the boundaries and come up with new ideas that exemplify what for some will be the ideal family home,” said Mr Stokes. 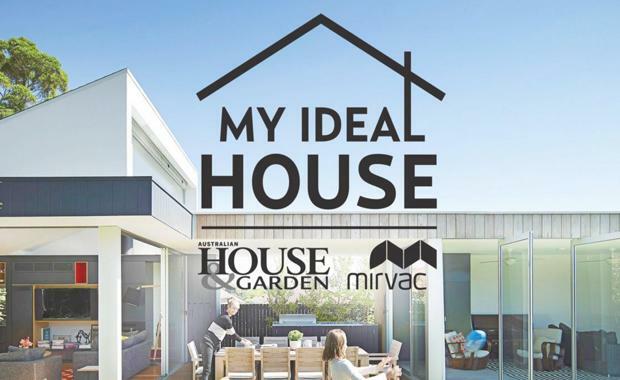 The My Ideal House competition is an initiative of Australian House & Garden magazine together with project partner Mirvac. The winning home design will be built at Crest, a Mirvac master-planned community at Gledswood Hills, south-west Sydney. The winning designer will receive $25,000 and the completed home will be sold with profits donated to charity. Australian House & Garden Editor in Chief Lisa Green said the competition was an ambitious attempt to get Australia thinking and talking about what makes an ideal house. “Our magazine was launched during the post-war scramble to house Australians, and we witnessed a golden age where new homes designed by architects met the needs of a growing nation,” said Ms Green. “Today there is a similar critical need to build more homes but we have to ensure that we match quantity with quality. It’s time to question what the ideal family home is, and explore innovative designs that reflect the needs and lifestyles of Australians today and in the future. “The ideal house has to please and inspire its occupants but it also has to respond to a number of other challenges. It must make best use of its site, embody sustainable principles, be adaptable to the changing composition of the modern family and promote good relationships within the home and the wider community. The competition is open to architects, designers, builders and innovators. Submissions will be judged by an expert panel including Ms Green, Mirvac Design National Practice Director Peter Cotton, author and Senior Lecturer Faculty of the Built Environment, UNSW, Dr Judith O’Callaghan, architect Hannah Tribe, demographer and author Bernard Salt, and Senior Lecturer Faculty of the Built Environment, UNSW, specialising in sustainability, Steve King. Mirvac’s Peter Cotton said the competition presented an opportunity to explore all possibilities and present new ideas for modern living for modern Australia. “Over the years Australia has had the luxury of abundant land and resources,” said Mr Cotton. “Today there is a greater awareness that these two commodities have a finite supply so we have to build and design smarter. “Since the late 1960s Mirvac has understood the need for well designed, affordable and sustainable homes for Australians. “The ideal house will be different things to different people but good design can accommodate such diversity, adapting to the growing family or indeed the shrinking family.